With the recent non-tender deadline and establishment of the 40-man roster, A.J. Preller and company may have indirectly given us hints as to how the Padres will choose to utilize their young and promising bullpen next season. Believe it or not, the Padres had one of the most effective bullpens in 2018. For some, these numbers may be shocking due to the Padres’ last-place finish in 2018. I mean, seriously, how can a 96-loss team have a bullpen this good? The fact is that the rest of our roster was just that bad. With starting pitchers building a cumulative era of 5.09 and the lineup amassing the lowest OBP in baseball at .297, it’s fair to say the Padres’ bullpen had their work cut out for them. While Fangraphs’ rankings are one of many ways to evaluate talent, the reality remains that one of the worst teams in baseball had a bullpen with comparable production to that of some of the best bullpens in the game. Andy Green didn’t have the likes of Zach Britton, Dellin Betances, and Aroldis Chapman at his disposal, like the Yankees did. Instead, after dealing two of our best relievers in Brad Hand and Adam Cimber to Cleveland, Green’s damage control formula consisted of the island of misfit toys; bringing in Craig Stammen with runners on base, which would lead to Phil Maton or a situational lefty, while concluding with one-time undrafted waiver claim/now top-notch reliever, Kirby Yates. Understandably, the Padres’ innings pitched were the highest amongst the three teams above, as lackluster starting pitching forced Andy Green to make constant early trips to the mound. 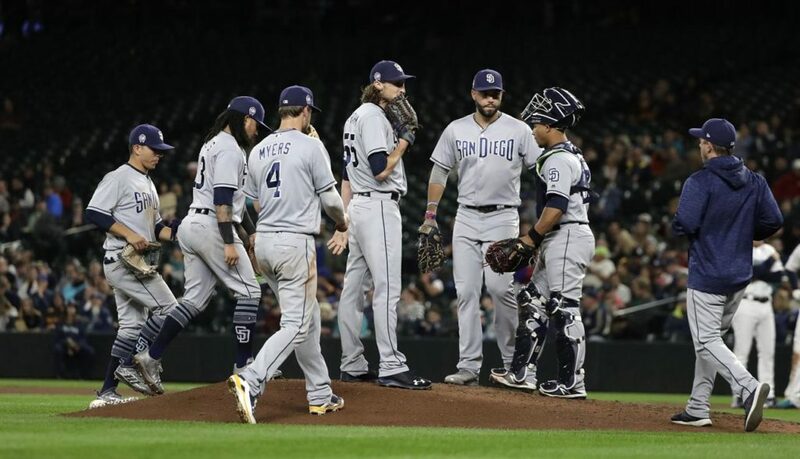 In fact, the Padres were only behind the Rays and A’s in total innings pitched by relievers, two teams that most heavily utilized ‘the opener’. Looking ahead to 2019, will this high amount of innings be detrimental for the Friars? Just ask the Dodgers and Indians– two teams whose bullpens took major steps backward in 2018 after compiling hefty innings loads the year prior. 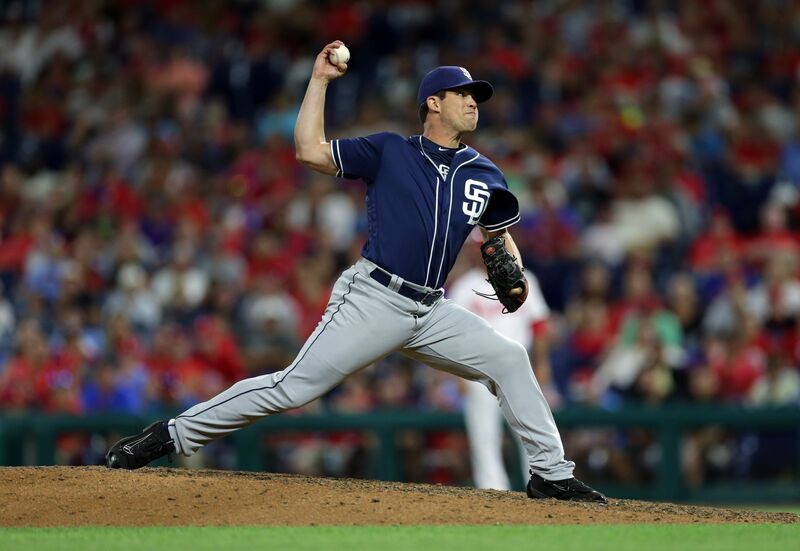 While some of the Padres’ older arms, such as Yates and Stammen, had a hefty workload, the Padres contrast with both the Indians and Dodgers in that they have a group of young, controllable bullpen pieces who managed to prove their reliability in 2018 without accumulating too many innings. While each of these pitchers still lacks the experience necessary for elite run prevention, the high strikeout and velocity numbers indicate promising futures for each. And since pitching injuries will inevitably occur over the course of a 162-game season, these young arms will see both a higher workload, in addition to higher-leverage situations in getting the ball to Yates in the 9th inning. Additionally, the Padres tendering the contracts of both Robbie Erlin and Bryan Mitchell signal that each will have a role to play in the bullpen next season. Bringing back Erlin, who between spot-starting and long relief, pitched over 100 innings last season, makes logical sense due to his versatility and consistency. Meanwhile, it is well documented how Mitchell’s first season as a Padre was a disaster. But regardless of a 5.42 ERA along with a 5.30 BB/9, the Padres may envision a bounce-back season from Mitchell with the necessary caveat that he will have a very short leash. With Erlin and Mitchell most likely assuming depth roles, and with the Padres inactive in the free agent reliever market thus far, look for young arms such as Wingenter and Castillo to step up and fill the void left by Hand and Cimber. It is most definitely a risk to place this much trust in an inexperienced bullpen. However, with expectations of being a playoff team still a few years away, why not experiment with your young arms? 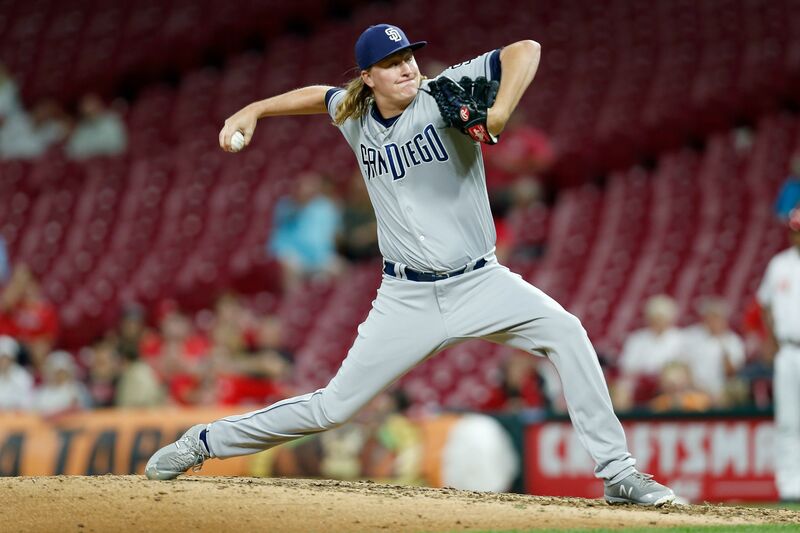 With Anderson Espinosa and Minor League Pitcher of the Year Chris Paddack expectedly making their debuts at some point during 2019, the likes of Brett Kennedy, Jacob Nix, and Luis Perdomo may end up being pushed to the bullpen. In fact, the time may be now to experiment with Luis Perdomo out of the bullpen. With an average fastball velocity of 94.1 mph as a starter in 2018, pitching one or two innings at a time out of the bullpen may allow Perdomo to throw even harder. Additionally, his slider’s whiff percentage of 42.6% in 2018 is higher than that of Andrew Miller and Gerrit Cole. With that being said, maybe a move to the bullpen will be beneficial for Perdomo, a pitcher who has yet to actualize his potential. Also, look for Matt Strahm to play a much larger role in 2019. In an era where ‘bullpenning’ reigns supreme, especially in the postseason, having a pitcher who can throw anywhere from one inning to five innings any given night seems to be a staple amongst elite teams. Coming off of season-ending knee surgery in 2017, Strahm was exceptional in 2018, amassing a 2.05 ERA, 0.98 WHIP, with 69 K’s across 61.1 innings. While Stammen and Maton tended to be the ones entering the game in the biggest situations, look for Andy Green to utilize Strahm and his 10.53 K/9 in an increased capacity. 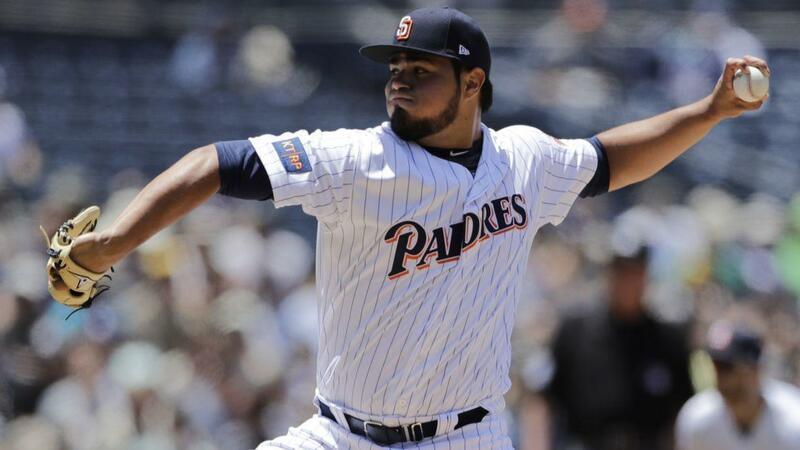 While minor league arms on the 40-man-roster, such as Miguel Diaz and Gerardo Reyes, may end up getting called up at some point next season, the Padres’ bullpen is set up well to follow up their performance from last year with another good year. However, does an outstanding bullpen mean that the Padres will be postseason-bound in 2019? Unless our lineup and rotation take major steps forward, don’t get your hopes up. I really like the idea of Perdomo pitching out of the bullpen. He has too much upside to sell low on him. We need to trade Yates and Stammen asap, as their value is maxed out. I’d like to see Strahm become a starter, but if not, he could be an Andrew Miller type weapon. Perdomo to the bullpen may prove to be a good move. And Strahm might be a starter this year.